A beautiful union of two souls. Each one creative, unique, kind and inspiring. Now a force of 2. Surrounded by nature in an oasis created by family love. Smiling warm friends come to celebrate. Beautiful voices and strings sing around a campfire that burns bright. Laughter carries throughout the night. 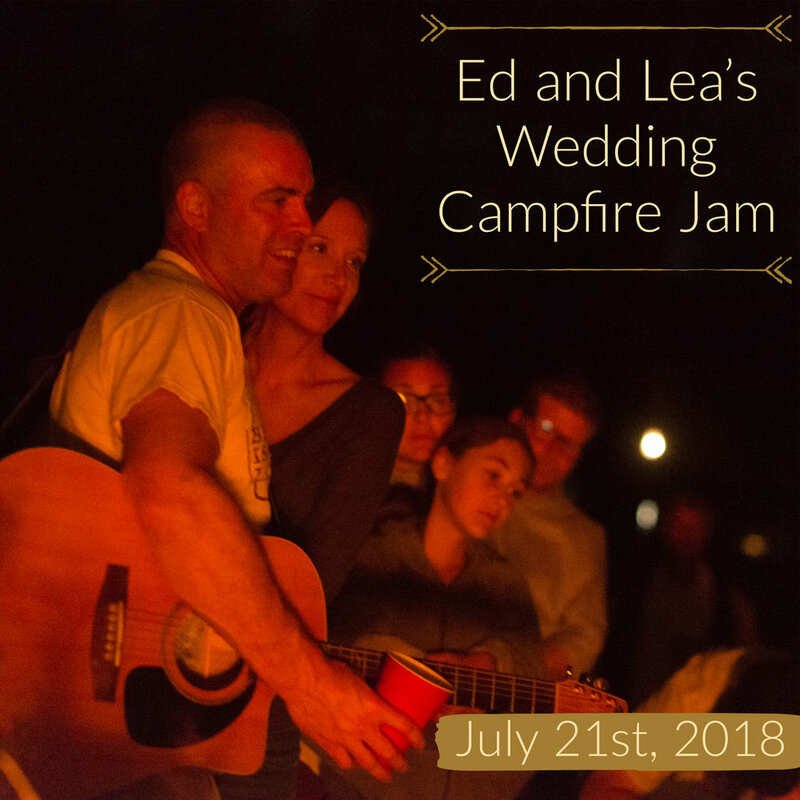 Click here to link to the audio recording of the campfire jam.